At the World Pasta Congress held in Rome on the 25th day of October in 1995, pasta makers from around the world enthusiastically agreed that pasta – a healthy, delicious, popular, sustainable and convenient food – deserved annual worldwide recognition. Again this year, on World Pasta Day 2018, pasta lovers around the world will join famous chefs, restaurants, families and friends and enjoy their favorite pasta meals to celebrate this delicious, affordable and nutritious staple that appears in diets around the world in all its versatile forms. It will be an extra special celebration as this marks the 20th anniversary of World Pasta Day. With pasta consumption on the rise for the second year in a row, there’s a lot to celebrate! On October 25, a gathering of pasta makers, industry members, scientists, media and other opinion leaders from around the globe will take place in Dubai at the Auditorium of the Knowledge Park and at the International Centre for Culinary Arts (ICCA). At the 2015 Healthy Pasta Meals Scientific Consensus meeting, twenty scientists and health professionals from nine countries met in Milan, Italy in October 2015 to present the latest research on pasta and to craft a 12-point Scientiﬁc Consensus Statement on healthy pasta meals. Since then, top Russian, Turkish and Brazilian scientists have added their names at subsequent World Pasta Day events in Moscow (2016) and São Paulo (2017). 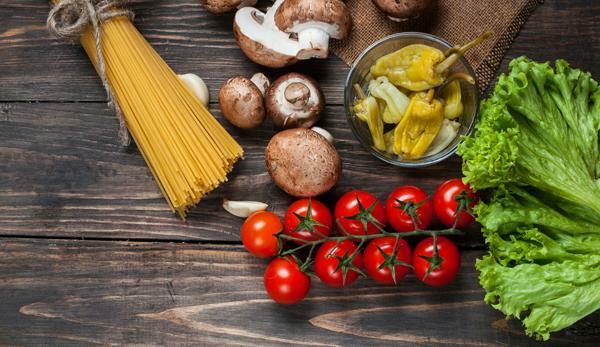 This year’s global event will bring together more scientists and nutrition experts to review the latest research on the Mediterranean Diet carbohydrates and pasta, and who will add their signatures to the Scientific Consensus Statement on the Healthy Pasta Meal. At World Pasta Day 2018 in Dubai, traditional and Arab culinary interpretations of pasta will meet when celebrated Arab chefs demonstrate their recipes. Stay tuned for more detailed information about the Pasta Cooking Show and Tasting to be held at the International Center of Culinary Arts – ICCA Dubai, featured amongst the Top 10 Culinary Institutes in the World and awarded the “Recognition of Quality Culinary Education” by the World Chefs. As part of this special celebration, worldwide pasta producers will also join together for the 2nd Annual “Power of Pasta” initiative, a coordinated program where donations of pasta are made to local organizations fighting hunger. Last year, more than 3.5 million plates of pasta were donated around the world. 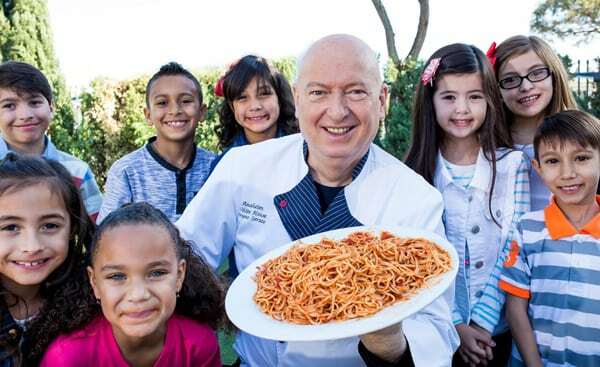 said Chef Bruno Serato, the Power of Pasta initiative Ambassador and founder of Caterina’s Club, a nonprofit organization inspired by his mother, Caterina, that serves 4,000 warm nutritional pasta meals to underprivileged children every night. Are you a pasta maker, a restaurant owner, a retailer or a chef ? Please contact IPO Secretariat (f.ronca@internationalpasta.org) for more info about how to join the The Power of Pasta initiative! World Pasta Day 2018 offers a variety of sponsorship opportunities from which to choose. Act quickly to give your company the greatest opportunity to make an impact. We hope you’ll join the celebration on October 25!